Do you know someone who is deaf and living in a developing country? 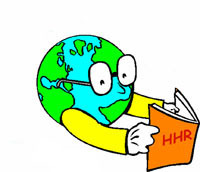 The His Hands Reader (HHR) site is collecting and distributing video dictionary and reading primers for every language of the world to help deaf persons learn to read using their native hand signs. The videos will also help hearing family members learn hand signs and or learn to read English, their local business language or even their native language. Look below and see if we have your language yet. If not please consider being a volunteer to add your native hand signs or text language to the His Hands Reader so that others may benefit with the gift of reading. Is your language in HHR, yet*!? * There are 100's of sign languages and 1,000's of text languages left to add but all are welcome in HHR! Tell you friends on Facebook about HHR.